-Mark in the UK- Dad on his Inter Norton at the Manx Grand Prix. Practice on Monday the 1st of September 1946 with dad looking steely eyed and determined. The photo is a 'portrait' by the Liverpool Evening Express. 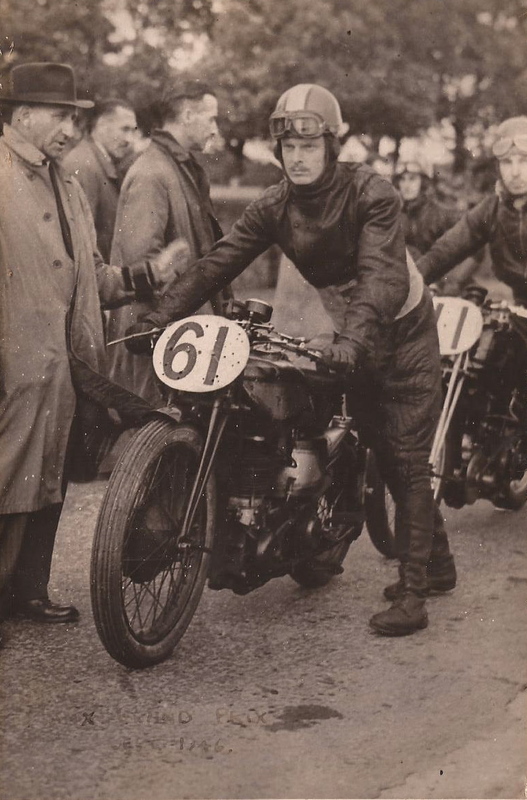 -SG- The Manx Grand Prix History lists J E Stevens as competing once only - in 1946 - and he finished a creditable 14th in the Junior.